With a warm and inviting rustic design, the "Woodboro" accent table collection takes a unique style and beautifully creates furniture that is sure to enhance any living room decor. Capturing the comfortable atmosphere perfect for any home environment, the rich oak veneer is bathed in a dark brown wood finish beautifully complementing the dark bronze color finish of the metal hardware. With beautifully framed drawers and ample storage and features throughout this collection, these tables are as functional as they are stylish. 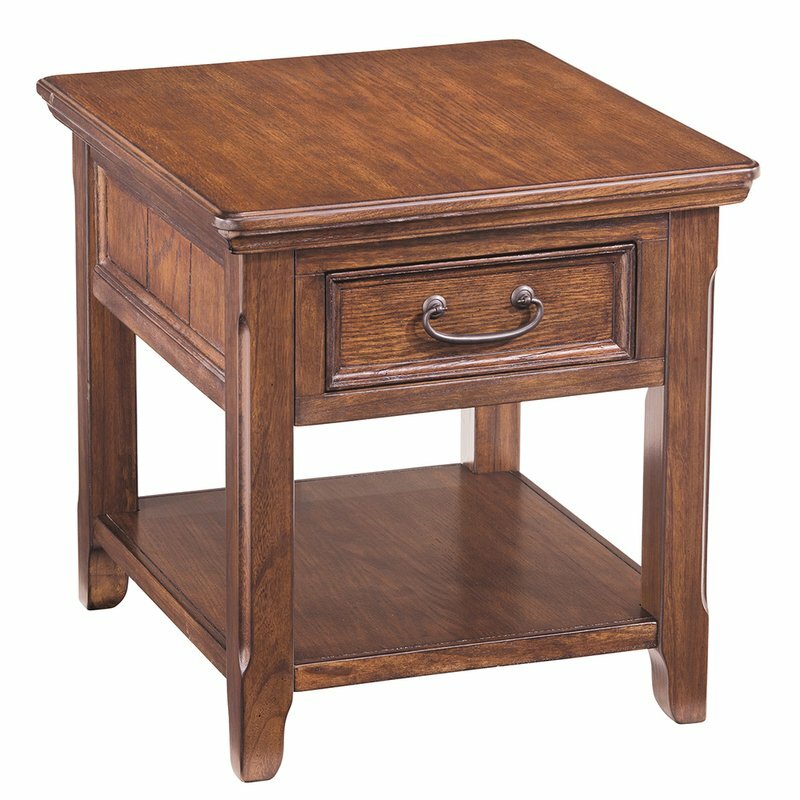 Complete your home's beauty with the rustic design of the "Woodboro" accent table collection. Made from select hardwoods and oak veneer.